The Capital of North Korea, Pyongyang, was essentially re-built from scratch after being devastated in the Korean War. Literally meaning "flat land", it is the biggest city in North Korea with over 3 million people living there. A visit to the capital of North Korea is described by many as a mind blowing experience as are too trips to other areas of the DPRK. The city consists of wide avenues, grandiose monuments and soviet styled monolithic buildings, all of which reflect the unique system of the DPRK. Commercial billboards and advertisements give way to political slogans and propaganda posters. Trucks packed with KWPA soldiers chanting patriotic songs reflect the military nature of the state and parade rehearsals either by soldiers or civilians are a common sight, showing the country's emphasis on the collective. However a visit to the capital of North Korea is not solely about mesmerising monuments, large boulevards and communist styled buildings; we encourage too visits to places where travellers can see and experience local Pyongyites' daily lives. A visit to the local bowling alley where teenagers hang out hitting their pins, playing 1990s arcade games, having a game of pool, joining locals ice skating and visits to local parks and funfairs all allow for engagement with local North Koreans, who in general are always curious at the rare sight of a foreigner. Walks around the city, whether through its large boulevards or local neighbourhoods, also provide a unique chance to see North Koreans going on about their daily lives. 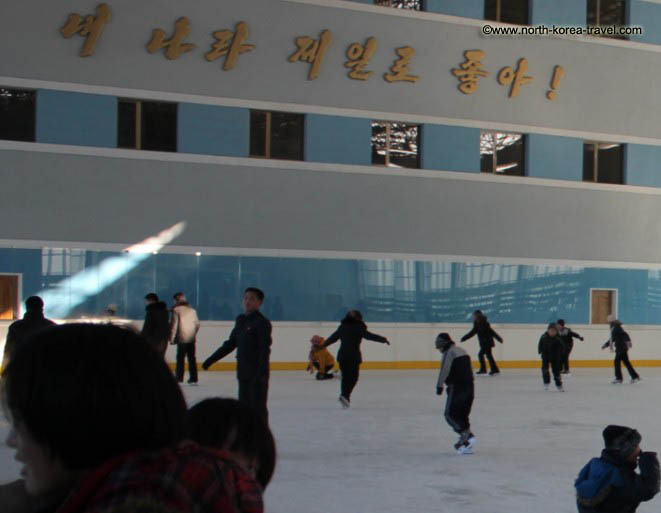 During national holidays we arrange for visits to mass dances where KTG travellers not only stand by North Koreans but also have a chance to join them in the dances! And if you visit there when there are no national holidays a visit to one of the local parks will allow for a dance with locals! Highlights of Pyongyang include the impressively deep Pyongyang Metro, the Juche Tower and the Arch of Triumph (which is taller that the Parisian one!). Please check our places to visit section to see brief descriptions of sights available in the capital of North Korea. North Korea hotels are generally in better conditions in Pyongyang than outside of the capital, but we recommend always a visit to other areas of the country in order to have a wider view of life in North Korea. Luckily our group sizes tend to be fairly small with an average of less than 10 members per group and we believe that this allows for greater interaction with locals. 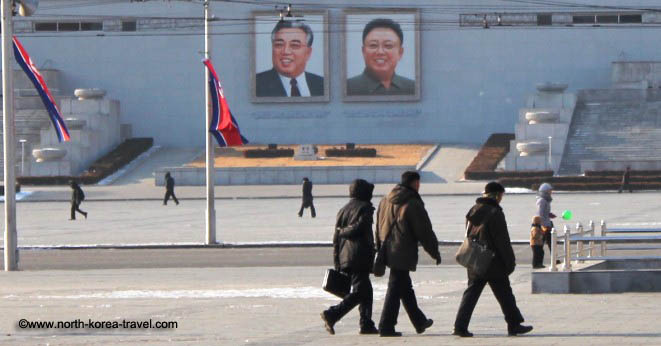 Go from our section on the Capital of North Korea to our North Korea tourism page.